The phoenix has risen once again in a new shape and form. This time as a two-headed beast. 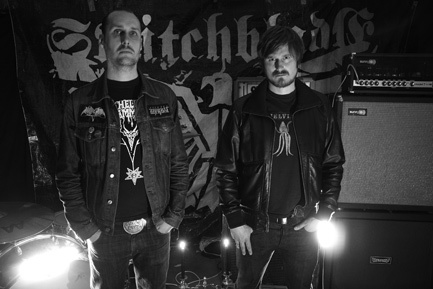 In early 2010 Switchblade saw the departure of Anders Sten (bass/vocals) who was with the band from the very start and who was a co-founder of the band. Ways were parted on very good terms. Switchblade have decided to go on as a duo with occasional guests for vocals and organ/keys. So some shows will be performed as an instrumental duo and some shows with vocals. So the basic set-up will be: 1 drumkit, 1 guitar, 2 guitar amps and 1 bass amp. In the cold winter of 1997 turning to 1998, Switchblade slowly took form as a quartet with 2 bassplayers who both screamed their lungs out. A 7" and a few extra songs for a split 7" were recorded with Fireside mastermind Pelle Gunnerfelt (Fireside, Hives, Breach) in the spring of 1998. In March 1999 Switchblade recorded their groundbreaking and very well received 10". This time with a newly recruited 2:nd bassplayer/singer. The 10" was recorded by Breach mastermind Anders Ekstrom. The 10" turned out very chaotic and fast in tempo. A few months later a few more songs were recorded by Anders Ekstrom and those songs ended up as the split 7" with Cult of Luna and The Jam Session. Then in late 1999 Switchblade took the decision to go on as a three-piece. During 2000 and 2001, switchblade recorded 2 albums together once again with Breach Anders Ekstrom turning the knobs. Switchblade toured both Sweden (with Cult of Luna) and Europe (twice) in support of the albums. Then in March 2003, Switchblade recorded their third selftitled full length album. 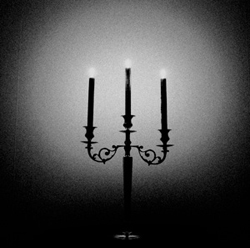 The album was a 6 song, 47 minute sonic journey that ranged from subtle ambient soundscapes to monotonous, dark, instrumental passages to full on stoner flirting, yet epic heaviness. All with just sparse use of vocals. 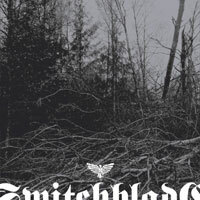 Previously having had some problems in truly capturing their sound and dynamics on tape, Switchblade turned to Carl Wikman at EAR Studios who is known for his big and true to nature sounding recordings. The album turned out to be the most powerful and focused material so far, and showcased a huge leap forward in the never ending evolution of Switchblade's sound and songwriting. The album received great reviews both in Europe and in the US, where the album was released by Jake Banon's (CONVERGE) Deathwish/Icarus imprint. A 4 week European tour in support of the album took place in early 2004 and a shorter tour took place in the summer of 2004 based around an apperance at the legendary Ieper Festival in Belgium. In May 2004 Switchblade wanted to try out some new song ideas and approaches so they packed the gear and headed down to the Mission Hall studio located in the countryside in the south of Sweden. The weekend worth of recording together with Mattias Olden from LOGH resulted in a 2 track 7" with guestvocals and guitar, on one of the songs, by Mathias Friberg of LOGH. The 2 songs showed, by far, the most dynamic Switchblade material to that date. Come late summer of 2005, Switchblade packed up their gear and headed down to Mission Hall Studio once again. Having felt so relaxed and enjoyed working with Mathias Olden, the choice was easy when picking a studio for the recording of the fourth selftitled Switchblade album. The 43+ minutes album consists of 2 long tracks and sees the band more dynamic than ever before. Insted of a constant wall of sound and riffing, every riff and every tone get alot of space and time to breathe. To add further bleakness, beauty and depth to the album there is guestvocals by E of swedish blackmetal band WATAIN and once again, guestvocals and guitar by Mattias Friberg of LOGH. More than three years after the release of the s/t  album, Switchblade entered the fantastic GRONDAL STUDIO (The Hives, Breach, Fireside, etc, etc) with knob-twister extra ordinaire KARL DANIEL LIDEN (VAKA, Dozer). The basic live tracking was done in 3 days and the band literally lived in the studio and worked very long days. Then it was time for guitar dubs and vocals over at the smaller/less expensive VERSION STUDIO. Almost 3 days was spent there as well. Then it was back to GRöNDAL for a few hours for some piano and Hammond organ recording. The album was mixed at KARL DANIEL LIDEN'S own TRI-LAMB STUDIOS. The album was mastered at TONTEKNIK by MAGNUS LINDBERG (CULT OF LUNA). The 49 minute long composition, divided in 3 parts, is a sonic and esoteric journey of monumental proportions. 10-10-10 Utrecht (NL) @ UtrechtDOOM w/ Eagle Twin etc. 05-02-12 Norrkoping @ Fest I Valen w/ Dungen etc. 05-01-28 Sandviken @ Kungen w/ Breather, Resist, Victims, S.M.E. 04-08-27 Koln (D) @ ??? w/ ??? 04-01-28 Freiburg (D) @ KTS w/ ??? 04-01-18 Oldenburg (D) @ Alhambra w/ ?? ?